I'm glad white has become a color for all season. It's bright, versatile and looks great on lots of women over 50 (think: Carolina Herrera and Elaine Stritch). And yet, when the weather starts to change, I find I'm in the mood for a change of color scheme. 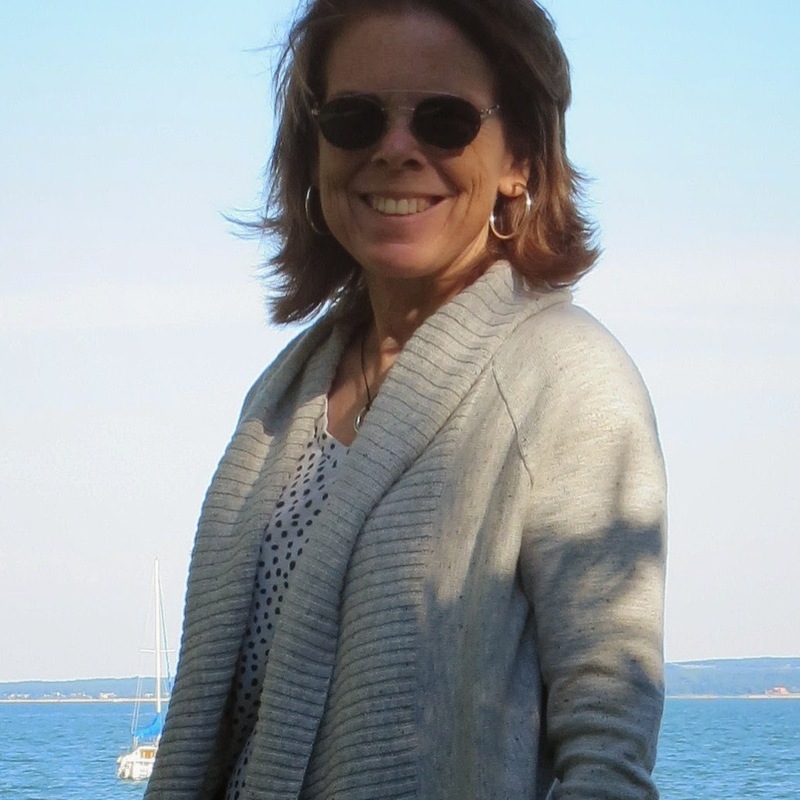 This past week, the temperatures in my area dropped 30 degrees, from 92 F to 62 F. A week ago I was swimming in Little Peconic Bay; this weekend I'm wrapping up in cozy sweaters. 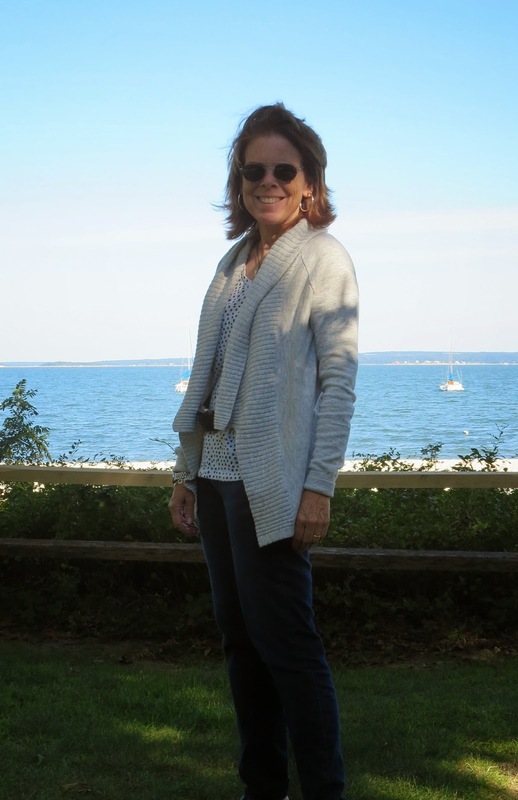 My current favorite sweater: a pale grey Banana Republic shawl cardigan (above). I bought it at one of those great summer sales. I'm loving the pale grey color because it's not too summery and too autumnal. I may be wearing less white mid-September, but I'm not ready for traditional fall colors--rust or mustard or burgundy or even charcoal grey. For me, light grey is a perfect summer-to-fall transitional color. And with all shades of grey trending this fall, there are lots of grey cardigans available (scroll down for shopping resources). Yes, those are hoop earrings I'm wearing. Delia Ephron, writer and sister of Nora Ephron, has said that a pair of silver hoops gives her "an extra charge." I feel the same.